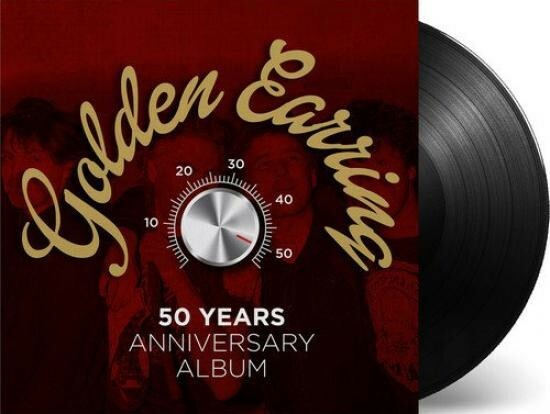 180 GRAM AUDIOPHILE VINYL GOLD FOILED FRONT SLEEVE 8-PAGE BOOKLET WITH EXCLUSIVE PHOTOS Recently, Holland's finest and longest standing Rock band Golden Earring celebrated their 50th anniversary, and it calls for a celebration! Formed as The Tornados in 1961, renamed The Golden Earrings and then shortened to Golden Earring, the band churned out hit after hit as early as their first single "Please Go" from 1965. The current lineup has been constant since 1970. The band did extremely well across the ocean with their massive hit "Radar Love", which has become a staple on Rock radio ever since. But folks are advised to delve deeper into the band's catalogue; songs on this never-before released on vinyl triple LP compilation include evergreens like "Another 45 Miles", "She Flies On Strange Wings", "Long Blond Animal", "Twilight Zone", "When The Lady Smiles", "Going To The Run", "Burning Stuntman" and many more. In all, Golden Earring has released over 25 studio albums, 8 live albums and countless compilations, of which 50 Years Anniversary is without a doubt the most complete. This 3LP compilation contains an 8-page booklet with exclusive photos, its sleeve boasts a gold foil finish and its audio is specially mastered for vinyl.